Serving the Roseburg and Douglas county area since 1982. 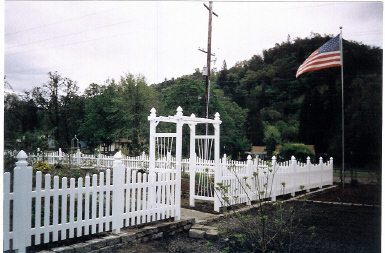 We at Pacific Northwest Fence Co. are here to help with all your fence plans. We provide planning, estimates, design, and installation. Just call to make an appointment. The greater Roseburg area is our showroom. Nothing looks the same in a building as it does in the outdoors. Give us a call and we can direct you to one of our many fence installation sites. There will be one close to your neighborhood. Or take a drive into the county to view our fence work and enjoy the beautiful Douglas County country side. Estimates for fence and gates installation are always free, as is advice for the customer that wants to do it themselves. We can supply you with materials or materials and installation. All it takes to get started is a phone call.